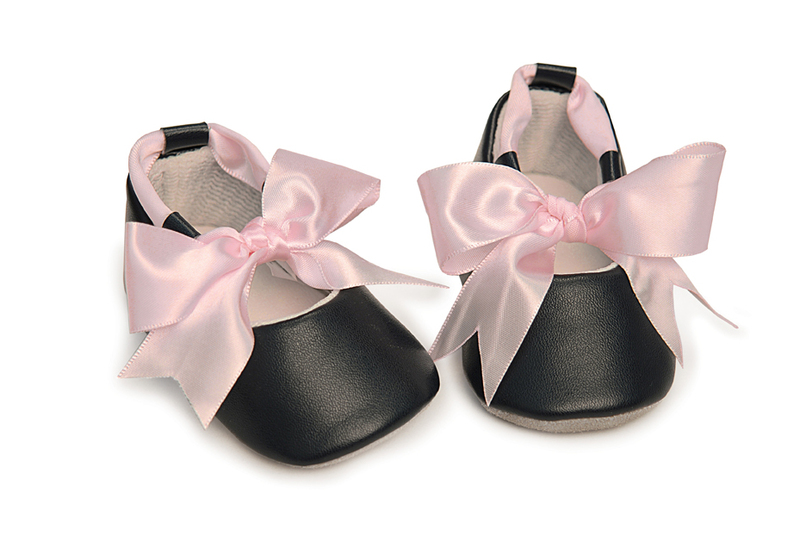 Faux Black Leather Shoes feature leather bottoms with Satin Ribbon ties. Would look great under a tutu or that special little outfit. Comes beautifully packaged in a clear Acetate Box with a Silk Ribbon. Made by Mud Pie.